Cast your memory back a few years, and you may recall that one of the most popular vehicles on the road was the Ford Explorer. Ford sold almost 450,000 of the mid-size SUVs in 2000, for example, and sometimes it seemed like every other vehicle on the road was an Explorer. Things kind of went south however, around 2007 – 2008. There was that unfortunate Firestone tire blowout/rollover fiasco a few years earlier, not to mention the rising cost of fuel, and other manufacturers, recognizing the lucrative potential of this market, got in on the act as well. Honda, Toyota, Nissan and others introduced their own SUVs, and Ford had to work a lot harder to sell the Explorer. Eventually, it kind of slipped into the background, selling just 50,000 in 2009. But it�s back, and it looks like, well, like a cross between the Edge and the Flex. �It�s longer, wider, and roomier than ever,� said marketing manager, Amy Marentic, at the launch in Del Mar, California, and the family resemblances are unmistakable. From the front, in particular, the new Explorer looks an awful lot like the Edge and the grille treatment is very similar. It also feels similar behind the wheel, and shares many components with its stablemates, especially when it comes to electronics, and Ford�s new in-car technologies. Which kind of begs the question: why does the Explorer exist at all? Surely there are more than enough SUVs/CUVs on the market these days; Ford itself has several – Edge, Flex, Escape, etc – not to mention the Lincoln MKX and Navigator. Given the price of fuel and public sentiment about gas guzzlers and air quality, you�d think that manufacturers would get the message and focus more on building smaller vehicles. However, it is designed for soccer moms and baby-boomers, and in that sense, it hasn�t changed much over the years. 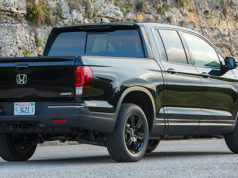 This is still the quintessential suburban grocery-getter, and, with seating for seven, has all the features you�d expect to find in a mid-size SUV, plus a lot more. 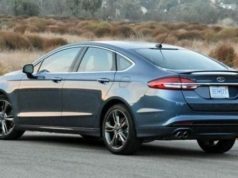 For example, one-touch down drivers� power window, tilt/telescoping steering, four 12-volt power points, Ford�s MyKey owner-programmable performance setting, and a raft of safety features. Perhaps the most intriguing of these is a new Curve Control system that will reduce vehicle speed if you find yourself entering a turn too hot. Apparently, some 50,000 people a year are injured because they lose control while negotiating turns, and this system will scrub off speed via the brakes and hopefully get everything back under control. The new Explorer will come in three trim levels: base, XLT, and Limited. As you climb up the model range, things like leather interior, back-up camera, remote start, power adjustable pedals, power rear tailgate, universal garage door opener, and Ford�s glitzy ambient lighting feature become available. One slick little goodie on the top-of-the-line Limited model is a power-operated third-row seat that will pop up or disappear into the floor with the press of a button. Speaking of which, this new Explorer has got to be the most electronically sophisticated version Ford has ever put forward. It is loaded with in-car technology, with no less than 28 different outside contractors supplying expertise and R & D. Microsoft, Sharp, Bluetooth, Gracenote, and Sony are just a few �partners� that helped put together the company�s MyFord and Sync technology systems. Depending upon what level of equipment you choose, you can have things like a programmable entertainment system that will handle everything from portable MP3 players to USB drives. Things like the climate control system and various other displays are managed via Ford�s MyTouch system, which is essentially a �soft touch� arrangement that allows you to choose fan speed, air direction, music choices and so on by gently pressing your fingertips against a screen, as opposed to turning buttons or pushing buttons. Needless to say, there is also a hands-free phone, and voice-activated Navi system. The voice-activation feature has no less than 10,000 commands that it can respond to….and it will also take into account your accent, should you have one. Built in Chicago, the new 2011 Explorer will range in price from $29,999 to $44,199 before extras and should be in showrooms right about now. Fuel economy (litres/ 100 km): 11.9 city; 8.0 hwy. Regular gas. 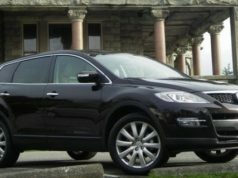 Alternatives: Honda Pilot, Toyota Highlander, Toyota 4Runner, Chev Traverse. GMC Terrain, Audi Q7, Acura MDX, Lexus RX350, Jeep Grand Cherokee, Kia Borrego, Hyundai Santa Fe.